In a nation obsessed with cricket, one should not be surprised if the word a�?fencinga�� is mistaken as something to do with a garden. 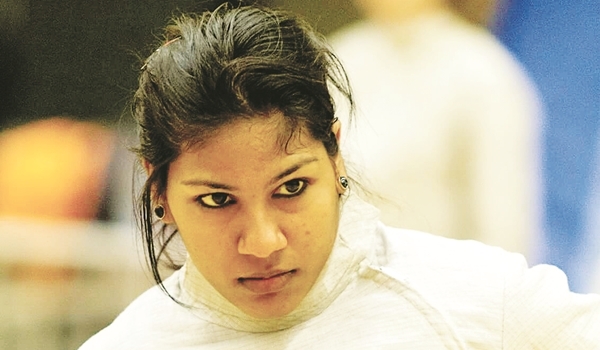 But that does not stop young Bhavani Devi from frequenting the Nehru Stadium (through the Tamil Nadu Fencing Association) to perfect her skills at wielding a foil. Seen as an elitist sport in most of Europe, fencing is slowly making its way into Indian schools. a�?In 2004, my school, Muruga Dhanushkodi, introduced fencing, squash, gymnastics, boxing and swimming. I chose fencing and my first coach was Vishwanathan. The senior players at Nehru Stadium also helped me pick up the basics,a�? Bhavani says, raising our hopes that schools will play a major role in spreading awareness about the Olympic sport. The Tiruvottiyur-based 22-year-old, who brought home bronze from the Asian Under-23 Championship this year, says she used practise before school in the morning. And thanks to the recent support she has received from the chief minister, Devi now has the opportunity to travel places. After taking part in the Venezuela World Cup last week, she is now participating in the French World Cup and is thankful of the support from her parents. a�?Without them, I would have quit. A sport like fencing is very expensive a�� from basic equipment to travelling. To achieve an Olympic medal, we need to train abroad and my parents give me maximum support,a�? says the youngster who looks forward to claim a seat in next yeara��s Rio Olympics.